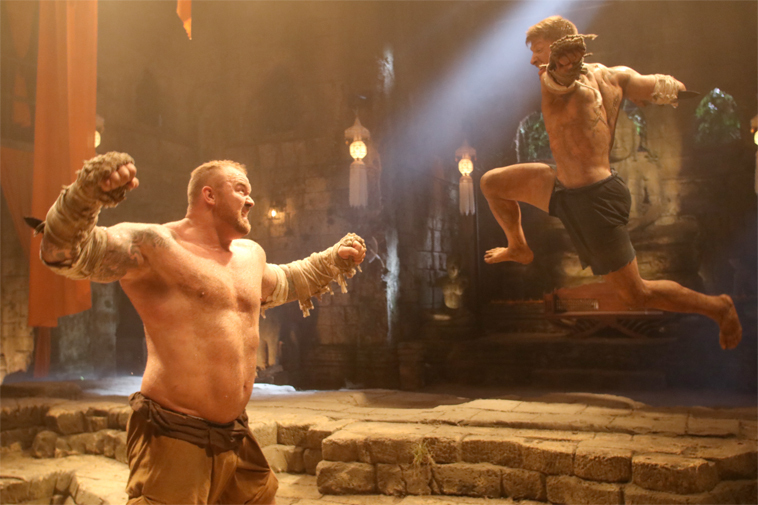 I don't know what I was expecting from KICKBOXER: RETALIATION, the new sequel to 2016's KICKBOXER: VENGEANCE, which was a remake of the 1989 Cannon classic KICKBOXER. I waited for midnight Thursday to watch it on V.O.D. as soon as it became available, so clearly I was excited. But I didn't think it was gonna be this good. The original Kurt Sloane, played by Jean-Claude Van Damme, only made it to his part 2 in the form of a body double unceremoniously shot to death in an alley, leaving three sequels to a never-mentioned-before Sloane brother played by Sasha Mitchell.